Factory Records began as a club in 1978, started by Tony Wilson and Alan Erasmus. They were joined by designer Peter Saville and Producer Martin Hannett to form Factory Records and released their first EP, A Factory Sampler, featuring acts that had played at their club, in 1979. A very small operation at first, the label was initially run from an office in Erasmus' apartment. Success, however, was just around the corner. The first album released by Factory was 'Unknown Pleasures' by melancholic Mancunian rock band Joy Division in 1979, at the same time that their manager Rob Gretto joined the label. The album received great critical acclaim, the band appeared on the front cover of the UK music mag the NME and recorded a session for influential BBC DJ John Peel. Wilson credits this success with turning the label into a “true business”. Plague by ill health and depression, singer Ian Curtis committed suicide in 1980 just before the release of their 2nd album. The remaining members went on to enjoy huge success with Factory as New Order. 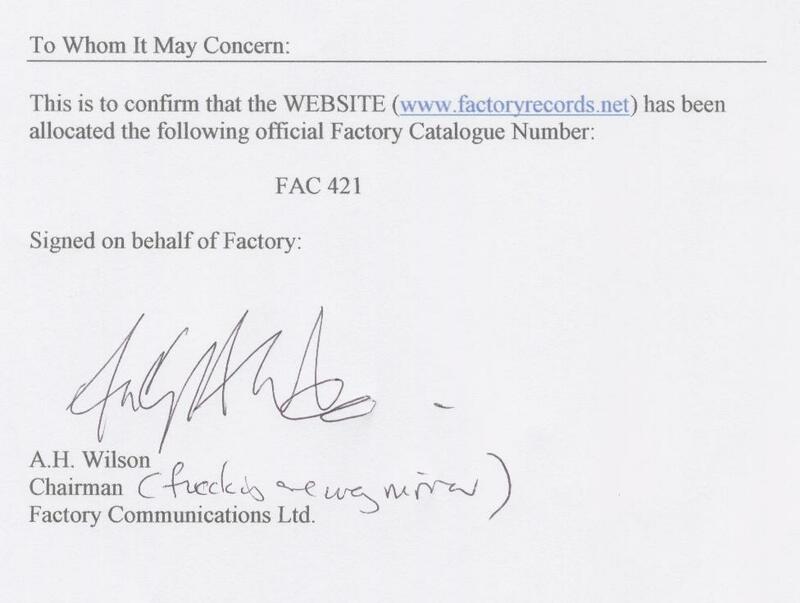 Factory didn't only put out records, however. The label was at the center of a music scene of their own making - the so called "Madchester" scene - named, of course, for Manchester, Factory Record's base. And at the center of that scene was a Factory Records run club, the famous (or infamous) Hacienda. In 1982 Gretto had the idea to open a Factory Records supported club in Manchester, and thus began The Hacienda. The club was pivotal in the evolving music scene in Manchester in the 80s, and many world famous DJ started their careers behind the decks there. Designed by Saville and Ben Kelly, the club was immediately popular, but due to a policy of too low entry and drink prices (and the fact that the large majority of customers were spending more money buy drugs from the bouncers than drinks from the bar), the club rarely made a profit. 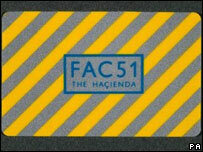 However, Hacienda outlived Factory, finally closing it's doors in 1997. Wilson, initially a TV presenter in Manchester, unquestionably was the driving force behind the label, and he loved his city as much as he loved his label. He was dubbed Mr Manchester for his work in the development of the city and towards the end of his life lobbied heavily for a devolved parliament for the North of England. After Factory's, demise he set up In The City, an annual music industry festival often held in Manchester that has been responsible for launching the careers of numerous bands. 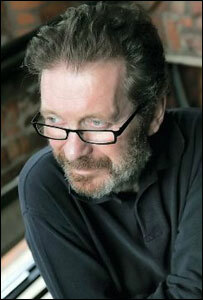 He died from a heart attack in 2007, leaving a hole in the cultural life of Manchester. Wilson tends to get all the credit for Factory, but the other partners were actually very crucial to the label. Seville designed all the labels early sleeves and had a long running relationship with Joy Division and later New Order. His designs were a big part of Factory's image, and his aesthetic fitted with Wilson Situationist leanings. Producer Hannett's work on the early Factory releases defined the post-punk sound and, according to bassist Hook, “he created the Joy Division sound”. Joy Division's manager Gretton insisted that the band sign with a Manchester label, which gave the label it's initially success. Unlike most record labels Factory had a eccentric system of catalogue numbers for it's releases. Rather than running in the normal chronological order different sets of number were used for each band, for example Happy Monday's releases usually had a catalogue number ending in a 2. Other “productions” by factory were also given numbers, FAC01 is a poster advertising a club night. FAC61 was the number given to a law suit brought against the label by former partner Hannett. FAC501, the final catalogue number, was given to Tony Wilson's coffin. Financial trouble eventually brought Factory to a close. The Hacienda was swallowing money, the label was financing the recording of a Happy Mondays album in Barbados, New Order's second album costs were spiralling out of control, and the label faced bankruptcy. A potential rescue deal with London Records fell through and the company was declared bankrupt in November 1992. After Factory's demise, many of the acts moved to London records, often taking their back catalogue with them. A semi-fictional account of the story of Factory Records was depicted in the film 24hr Party People in 2002. While Wilson credits Unknown Pleasures as the start of Factory as a “true business,” it is fair to say that the label was never run like any other company. Few of the acts had contracts, a fact that cost the label what would have been a life saving deal with London Records. When London realized that Factory owned none of the recordings that they had released as they'd never had contacts with the bands, they recinded their offer. In addition to not having contracts, the labels finances were always on shaky ground - New Order's Blue Monday became the best selling 12” single in the UK, but due to high production costs the label lost money on every copy sold of the original die cast cut sleeve. Sending The Happy Mondays to Barbados to make a record and allowing recording costs for New Order's album to spin out of control into the hundreds of thousands of dollars range set the label up for almost certain failure. Despite all of these questionable decisions, Factory remains a lauded label - why? The answer is probably down to a combination of really great music, the force of nature that was Tony Wilson and the label's knack for creating a story about itself. Since Wilson's death, there have been rumors off and on about the re-launch of Factory, but even Wilson tried that himself in the mid-1990s to no great effect. Factory is as much a moment of time in music as a great label. He died on Friday evening (August 10th 2007)at the Christie Hospital surrounded by family. Record label owner, broadcaster, journalist, pop impresario and nightclub founder - Anthony Wilson was famous for many things, but perhaps he was most famous for being a self-styled professional Mancunian. 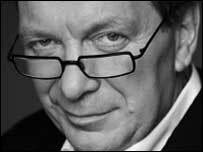 Tony Wilson was widely regarded as the man who put Manchester on the map for its music and vibrant nightlife. He remained active on the city scene until his death on Friday aged 57. He was born in Salford's Hope Hospital on 20 February 1950. He attended De La Salle Christian Brothers' school, before going on to read English at the University of Cambridge in 1968. In the 1970s he went to work for Granada Television in Manchester, where he fronted programmes including music show So It Goes and current affairs magazine World In Action. He later went on to be long-time host of the early evening Granada Reports. Wilson was a founder of Factory Records in the late 1970s, the label behind Joy Division, New Order and The Happy Mondays. He continued to work in television even at the height of his work with Factory records. In 1982, he set up The Hacienda nightclub, which became known as perhaps the most famous club in the world in the late 1980s and early 1990s. It became the heart of the "Madchester" scene, playing host to bands such as New Order, The Smiths, The Stone Roses and Oasis. Even Madonna played her first UK gig at the Whitworth Street club in February 1983. The club was famous for its dance nights, particularly house music nights where DJs Mike Pickering, Sasha and Dave Haslam regularly played. In the early 1990s the club was blighted by cash flow problems and it closed its doors in 1997. The building was demolished in 2002 and apartments were built in its place. The semi-fictional story of the club, the music and Wilson's life was documented in Michael Winterbottom's 2002 film, 24 Hour Party People. His character was played by comedian Steve Coogan to critical acclaim. Wilson later went on to set up the annual Manchester music conference, In The City, with long-term partner and former Miss England Yvette Livesey. But it was not just in the music world that he made his mark - he was also a key player in local politics and supported a campaign for a regional assembly for the North West. In 2004 he set up an unofficial coalition calling for regional devolution, called The Necessary Group. More recently he presented radio shows Ground Rules and Talk of the Town on BBC Radio Manchester and Sunday Roast on Xfm Manchester. He was the main presenter of the BBC's Politics Show North West. Wilson fell ill in 2006, before undergoing emergency surgery to have a kidney removed in January 2007. Doctors diagnosed him with cancer and he started a chemotherapy course at Manchester's Christie Hospital. The chemotherapy failed to beat the disease and he was recommended to take the drug Sutent, which is not funded by the NHS in Manchester. Members of the Happy Mondays and other acts he supported over the years had started a fund to help pay for his treatment. “Being from another country, Tony Wilson was representing not only a record company “Factory Records” but a whole city. He was in my eyes Mr. Manchester. He signed many legendary bands including Joy Division, New Order, Happy Mondays etc.. I had the privilege to meet him couple of times when I visited Manchester. He was always a pleasure to be around him. It has been a real honor to cross briefly your amazing path. You are and will always be a true legend. My Deepest Condolences to the Wilson family.